The result means Changchun Yatai has not won a game in three consecutive matches. 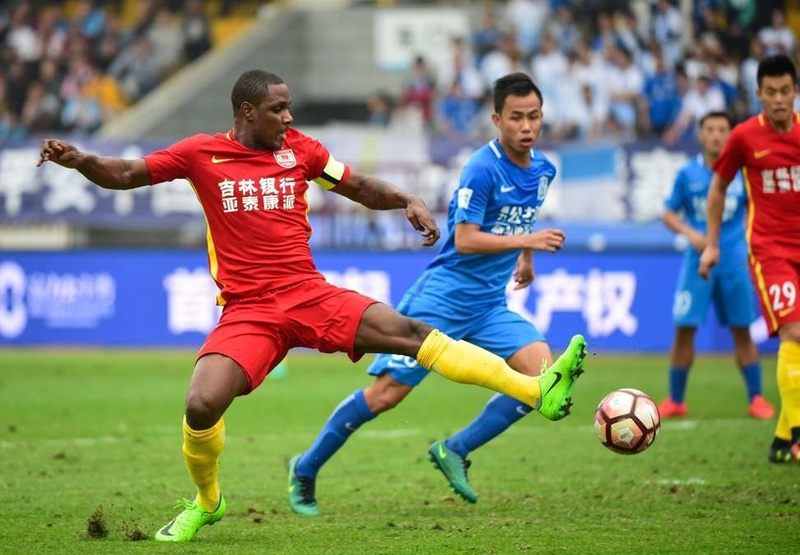 Super Eagles striker Odion Ighalo could not find the back of the net in Changchun Yatai 's 1-1 draw with Henan Jianye. Ighalo labored for 90 minutes on the frontline but fired blank all through. After a goalless draw at half time, Nemanja Pejcinovic broke the deadlock for Changchun Yatai in the 58th minute before Ricardo Vaz Te scored nine minutes later to earn a share of the spoils for the home team. The Nigeria international has scored 16 goals for Changchun Yatai in the Chinese Super League (CSL) this season. Ighalo, who is yet to score for Nigeria in nine games, and would be looking forward to break the deadlock in Seychelles.